Halloween will be here before you know it. I have checked this pattern... it is correct. I have added a few references to allow you to check your progress after each round. ““Darkness cannot drive out darkness: only light can do that. Yield now and be at peace with Him; thereby good will come to you. Finally, brethren, rejoice, be made complete, be comforted, be like-minded, live in peace; and the God of love and peace shall be with you. Greet one another with a kiss of love, peace be to you all who are in Christ. IT IS THE PRESENCE OF GOD." the Lord will bless His people with ________. I've been crocheting for many years and enjoy every project I make. However, I need some help. I know you can block your projects, and I do on my thread items, but have never done it on my yarn projects. This is were I need help. I'm making my grandchildren "HUGH" pillows for Christmas, I want to know how to block such a project. I believe this will help preserve this project and keep its shape, but I'm totally lost on how to do it. 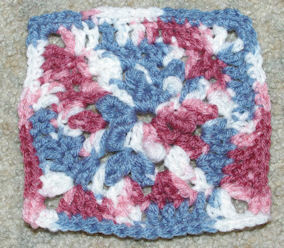 You can block a crocheted piece by wetting it thoroughly. Then remove the excess water (I like to spin it in the washer). Shape the piece, pinning if needed, and then let it air dry. NOTE: When pinning.. use rust free pins. Hand winding yarn into balls is a great way to get an upper arm workout! Also, when untangling yarn pull gently on the strands to reduce the number of knots in the yarn which can be difficult to remove. The entire pattern is crocheted... no fabric involved. hi I am trying to work on the Accent rug I don't know if it a mistake but there is a tr stitch in the pattern but it the only one one row 3 which makes it seem a little weird looking. With only one tr stitch in row 3 and than the rest are just single crochet stitches. For Row 3 you chain 1, then turn. Work a single in each of the next 2 single crochets. Then work (a treble in the next stitch, a single in the next stitch) across... which means you are alternating trebles and singles for the entire row. At the end work a single in the last stitch. My pattern states (3dc. Ch 3. 3dc.) in next ch-3sp. I understand how to work in a chain space. I'm just not sure if I am to work what is in parenthesis three desperate times in three different chain spaces or what? Please help. Thanks so much. (3dc. Ch 3. 3dc.) in next ch-3sp. This means you work the stitches within the parentheses all in the next chain 3 space. Unless there are further instructions then you only do that one time. Color 1 – row is worked right to left. Color 2 – row is worked left to right. Color 3 – row is worked right to left. Pick up Color 1 and repeat. Second row is worked left to right in same color. 1st color is dropped and 2nd color is picked up and repeat the 2 rows. You have to make sure there is enough yarn carried up the side to equal the row heights. The stitch pattern used makes no difference. 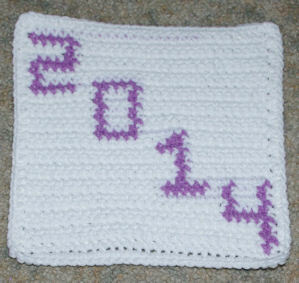 The yarn carried up the side is covered when the edging – border is put done. 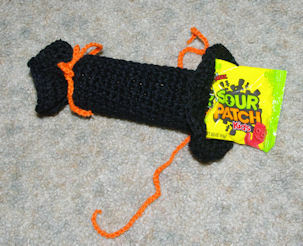 I am pretty much self taught in crochet and knitting. The information that is available now is amazing compared to what I was able to get my hands on 45 years ago. When I was a novice at crocheting, I failed to secure and weave my ends well enough on my first afghan. The second or third time it was washed it began to ravel. 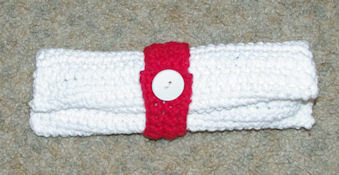 I was so upset, all that work and have it fall apart, I almost quit crocheting. Needless to say I try to reduce the number of ends that I have in a project! 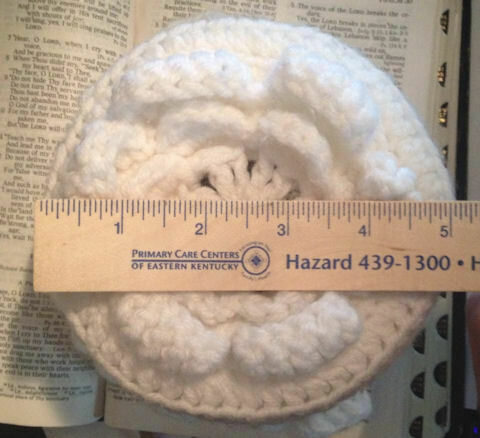 Feel free to﻿ visit the Crochetnmore Facebook page to share photos of your project. I love your sight. It is very helpful. Sometimes you go a little to fast but I just stop and repeat the video. I am making the toilet tissue cover that looks like a flower. Supposedly easy but.... I am a beginner, beginner. too loose. However...my problem. How do you make the flower bigger so that it can fit a toilet paper 5" in diameter? I tried starting with a treble crochet but it looks horrible. made. Hope you can help me. I need aproximately one more inch before I start the sides on RND 8. Thanking you in advance. Hope you are having a great day. I use the original cover I made in my bathroom and it fits a 5” roll. To make your cover larger, I suggest using a larger hook size to make the pattern. try changing the stitches on round 7 from single crochets to treble crochets and see how that works. Sl st in first ch-1 sp, ch 1, sc in same sp, [ch 3, sc in next ch-1 sp] 5 times, *sc in next ch-1 sp, [ch 3, sc in next ch-1 sp] 5 times; rep from * 10 times more, join with sl st in beg sc - 60 ch -3 sps. sl st in first ch - 3 sp, ch 1, sc in same sp, *[(hdc, 3 dc, hdc) in next ch -3 sp, sc in next st] twice, (hdc, 3 dc, hdc) in next ch -3 sp,[sc in next ch -3 sp]; rep from * 11 times more, ending last rep with sc in last ch-3 sp, join with sl st in beg sc. the "brackets" and "parenthesis" are dring me nuts!! Thanx Lisa. Now repeat the instructions from the asterisk ten more times. Join with a slip stitch in the beginning single crochet. You should have 60 chain 3 spaces when finished. work one half double crochet, 3 double crochets and another half double crochet all it the next chain 3 space. Repeat from the asterisk 11 more times, ending the last repeat with a single crochet in the last chain 3 space. Thanks so much for this great tutorial! Of all the ones I've watched trying to learn how to do a ripple pattern, this﻿ one was the absolute best! I'm actually making an afghan, just extended my foundation chain....it's looking good!! Thank you very much for helping me learn a craft I've wanted to do for 30yrs now but couldn't find any places that has it all from breaking it down to showing just how projects turn out. Hopefully I'll be sending pics in of my 1st creation! Have a good day! creature, Eddy proudly dangled it before his mother. grandson was wearing a watch when I visited. him what time it was. time for you to go," he answered triumphantly. and ceiling and even had a bath." Observing a light across the water, the captain had his signalman instruct the other vessel to change her course ten degrees south. The response was prompt: Change your course ten degrees north." "I am a captain," he responded testily. "Change your course ten degrees south." The reply: "I'm a seaman first class, sir; change your course north." The captain was furious. "Change your course now. I'm on a battleship." "Change your course ten degrees north, sir -- I'm in a lighthouse!" Cornell, as his parents and other members of the family had. friend Faye. Buying a card and dashing into the post office, she bought a first-class stamp. "Excuse me, she said, her arms aching. "but must I put the stamp on myself?" "No ma'am," deadpanned the clerk, "it goes on the envelope." goals for the immediate future. 20-minute workout in less than an hour," she said. wily old General sends for his trusty Indian Scout. estimate the sort of army we are up against here." all of that just by listening to the ground???" An elderly couple was celebrating their sixtieth anniversary. The couple had married as childhood sweethearts and had moved back to their old neighborhood after they retired. Holding hands, they walked back to their old school. It was not locked, so they entered, and found the old desk they'd shared, where Andy had carved "I love you, Sally." Sally said, "Don't believe him, he's getting senile". Andy said, "Well, when Sally and I were walking home from school yesterday……...."
their hands-- except for the new kid. "Don't you want to go to Heaven, Dennis?" his driver to stop and he got out to investigate. 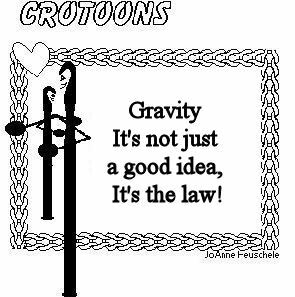 home is about three feet tall! was ignoring her food, she said, "Keri, why aren't you eating?" Keri replied, "I can't eat; God told me not to." Her mother chided: "God wouldn't tell you not to eat your supper."